The 14th issue of ADON celebrates spring with a double cover treat featuring "King of Instagram" Nick Bateman posing with Vern, a beautiful Siberian Husky pictured by MADPICS, plus a very neon-infused Spanish model River Viiperi photographed by Vijat Mohindra, styled by amazing duo Sammy & Juddy. Make sure you get your copy of the always funky and funny ADON, HERE. 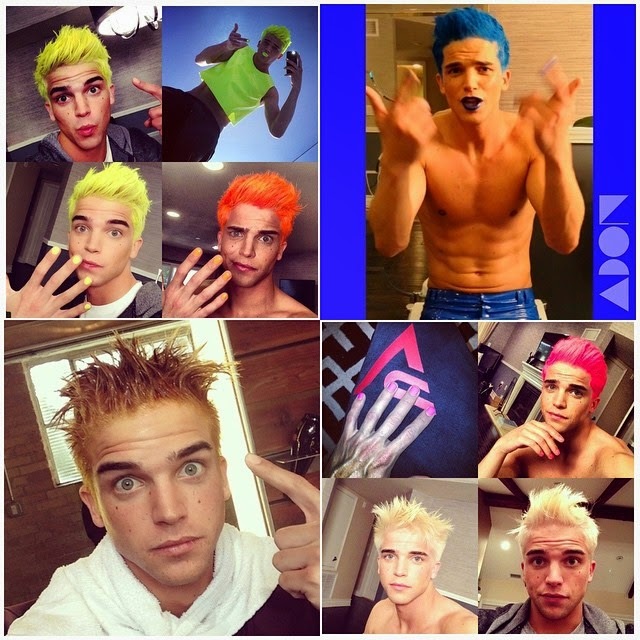 River Viiperi, behind the scenes of his neon shoot for ADON 14.